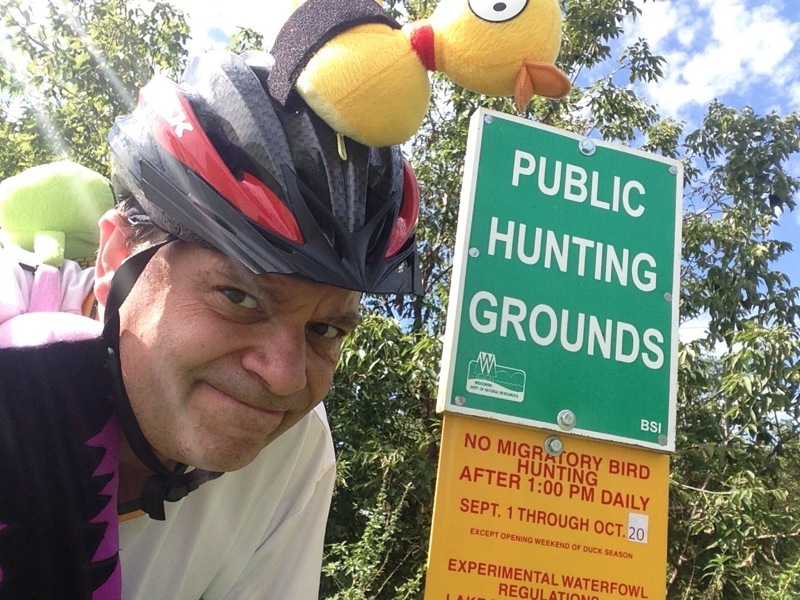 Daily Illuminator: Why Did It Have To Be Ducks?! June 5, 2016: Why Did It Have To Be Ducks?! Our event coordinator, Guy Himber, has always had a burning desire for the ducks of Munchkin. But one thing kept bugging him: why ducks? So he went straight to the source, and interviewed John Kovalic on the subject. John told Guy he'd tell him, but he'd have to kill him. Or at least maim him. Thanks Guy! 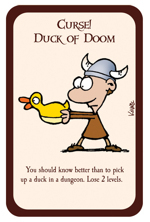 Assuming the Duck of Doom card was the genesis/first Munchkin duck, what started the Ducks tradition? Honestly, I have no idea. It was one of the first classic Munchkin cards, and one of the few from the original set I don't ache to redraw. It was a fan-favorite from the get-go, so we needed to give more ducks. Fortunately, it's quick and easy to draw - and I try and draw something for everyone, when I do signings. So that's a very useful quality for a beloved Munchkin character to have! How many duck cards do you think are out there? Do you have a favorite one? Again - no idea how many there are in the game. I'm closing in on 5,500 Munchkin cards drawn, and to be frank, I lose track of them. But I'm very fond of Duck Season, from Munchkin Apocalypse. 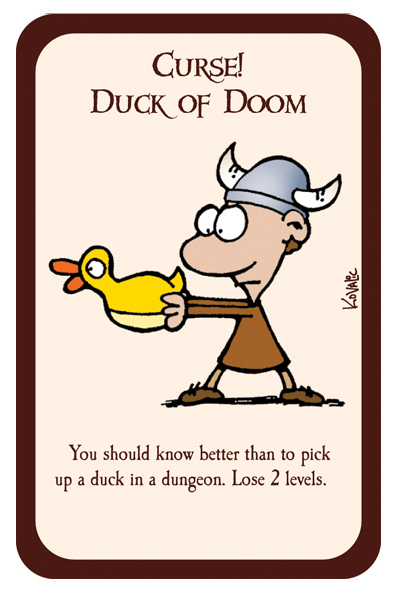 And I think the original Duck of Doom has to be my favorite from the first Munchkin set. It spawned a legend! What do you see as the future of ducks in Munchkin? Would you like to see an all Ducks expansion one day? I've proposed a full Duck expansion - as a Marx Brothers fan, how could I not want a set called Why a Duck? I'm not sure if it would ever happen. Munchkin scheduling is pretty insane. But I do love drawing me some ducks! Are there any special duck facts or funny duck-related trivia you have discovered in your feathered research you would like to share with the Munchkin fans? 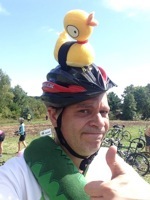 Apart from the fact that I ride with a duck on my helmet for a charity bike ride every year, and it's raised more than $25,000 to help feed local families? Probably that some people think the Duck of Doom was inspired by (or rips off) Don't Let the Pigeon Drive the Bus, but it predates Pigeon by two or three years.